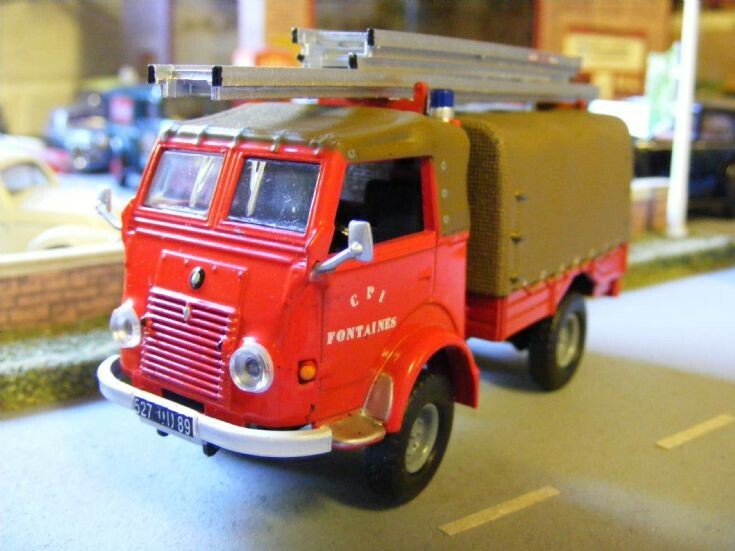 A group of French & Belgium fire appliances in 1:50th scale has joined the Museum collection following a job lot purchase. Two Renault Goelettes in Sapeurs-Pompiers livery carrying C P I Fontaines markings. This the 206 E1 1000kg 4X4 All Terain Appliance.